WAYNE. NJ — Eleven William Paterson University communication department students were accompanied on a trip last month to continue their volunteer work in Puerto Rico, which began last year amidst the devastation of Hurricane Maria. The initial focus of the trip, created by communications professor Dr. Lori Ramos was to assist WVQR 90.1 FM Radio Vieques, the community radio station in Vieques, Puerto Rico, during its recovery. Motivated by their original efforts and her long-time connections to Vieques, Dr. Ramos organized another trip to continue where the group left off. Assisting Dr. Ramos were fellow communication professor, Dr. Diana Peck and WPSC Station Manager, Sebastian Escobar. Jacob Martinez, 2018 communication alumni, has traveled with Dr. Ramos and Dr. Peck since the beginning and is no stranger to hurricane relief. The three mentors and fellow students were not only able to get Radio Vieques back up and running but through WP’s donations of new computers and professional editing software, WVQR’s station is now better than before. Since their very first mission to Vieques, WVQR and the University’s radio station – 88.7 WPSC-FM Brave New Radio, established an official sister-station relationship that creates original content aired between both stations. Students are encouraged to expand their skillsets obtained here at William Paterson with the local station of Puerto Rico and understand the differences and similarities of international broadcast. In addition to their work with community media, students assisted island residents with delivering meals and other service tasks organized by local residents. Nicole Maldonado, a senior with a major in public relations attended the trip to represent the future public relations project for the sister station, WVQR. She expressed how surprised she was about the living conditions of the locals. 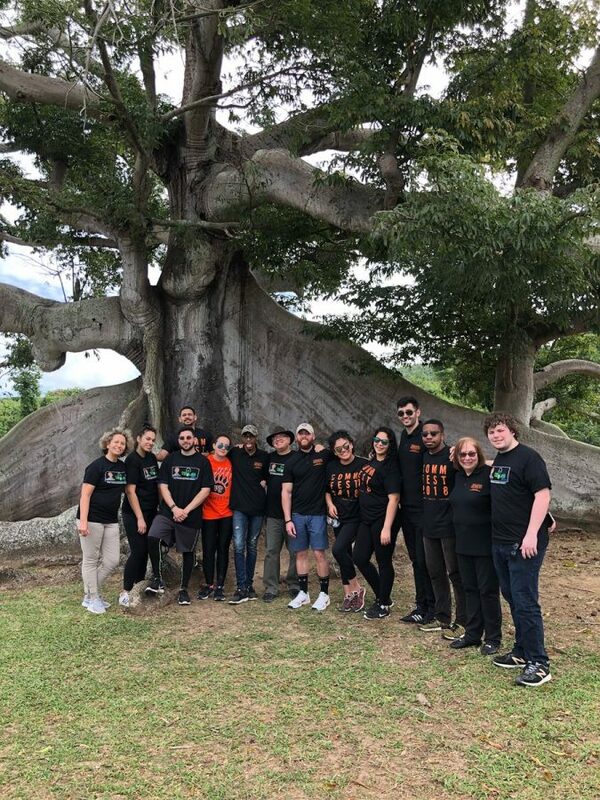 William Paterson has continued their travels four times since their original trip to Vieques in January of 2018. There is no official word as to when the next service-learning course will take place. To learn more about Brave New Radio’s efforts, visit www.gobrave.org/vieques or reach out to Dr. Lori Ramos via email.